Dozens of Israeli settlers stormed al-Aqsa Mosque on Sunday morning amid heavy police presence. 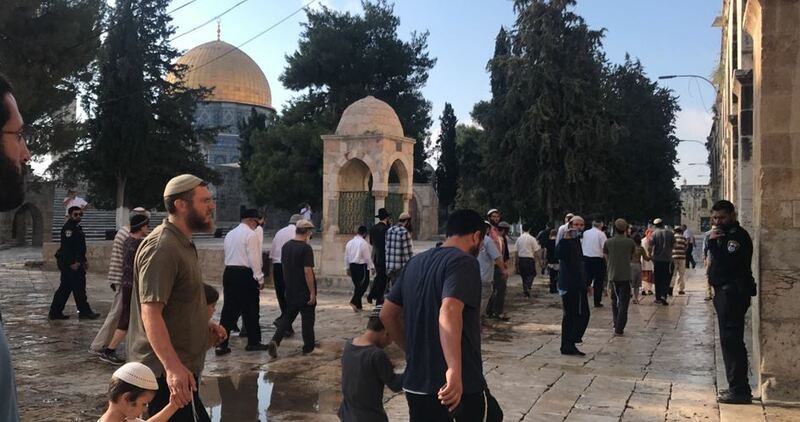 Jerusalem's Islamic Awqaf Department said that 54 Israeli settlers forced their way into al-Aqsa Mosque via al-Maghareba Gate, received presentations on the alleged "Temple Mount", and performed Talmudic rituals. Local sources reported that 10 Israeli Intelligence officers, as well as a Jewish tour guide, were present in the site during the same period. The Israeli police, meanwhile, imposed tightened restrictions on Muslim worshipers entering the Mosque. Other groups of Israelis are set to enter the Mosque for a second round of settler break-ins following noon prayer. Brazil's far-right President-elect Jair Bolsonaro met with Prime Minister Benjamin Netanyahu on Friday and while both pledged to deepen ties, there was no announcement as some anticipated of Brazil moving its embassy in Israel to Jerusalem. "Israel is the promised land. Brazil is the land of promise," said Netanyahu, adding that Israel could help in areas such as economics, security, agriculture and water resources. "We will be starting a difficult government from January, but Brazil has potential," Bolsonaro said. "So that we can overcome obstacles, we need good allies, good friends, good brothers, like Benjamin Netanyahu." Bolsonaro and top aides have repeatedly said he would move Brazil's embassy from Tel Aviv to Jerusalem, but since his election he has come under pressure to ditch the idea from powerful backers in the agricultural sector, who fear the decision would hurt their halal meat sales in Arab countries. Such a move by Bolsonaro would be a sharp shift in Brazilian foreign policy as it was for the United States when President Donald Trump relocated the U.S. embassy to Jerusalem in May. Brazil has traditionally backed a two-state solution to the Israeli-Palestinian conflict. 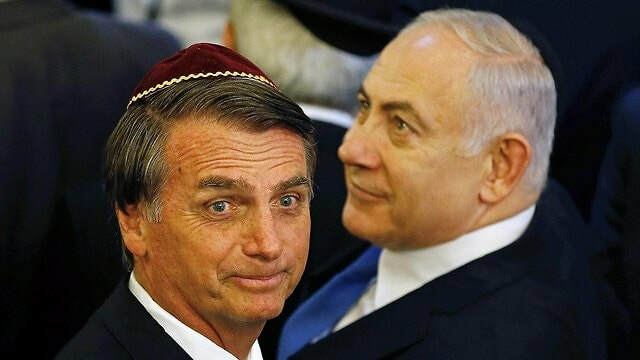 Some political observers had speculated that Bolsonaro would use Netanyahu's visit as the perfect way to make the announcement. Bolsonaro discussed Israel during a meeting in Rio with Trump's national security adviser, John Bolton, late last month. "We also welcome President-elect Bolsonaro's comments regarding moving the Brazilian embassy in Israel to Jerusalem from Tel Aviv in support of Israel's sovereign right to have its capital of Jerusalem recognized by nations around the world. We look forward to welcoming many more of our friends and allies in Jerusalem," the official said. Israeli's Prime Minister Benjamin Netanyahu on Friday said that he would push the Brazilian president-elect Jair Bolsonaro to transfer his country's embassy in Israel to Jerusalem. This was voiced in a press conference ahead of Netanyahu's meeting with Bolsonaro, according to Yedioth Ahronoth. Netanyahu met with Jair Bolsonaro for lunch in Rio de Janeiro on Friday in a first-ever visit to Brazil by an Israeli prime minister. The Brazilian president-elect, speaking to Israel Hayom newspaper in early November, said that he intends to move his country's embassy in Israel to Jerusalem following the steps of Guatemala and the United States. A week later, showing some reluctance, Bolsonaro said that the final decision has not been made yet. 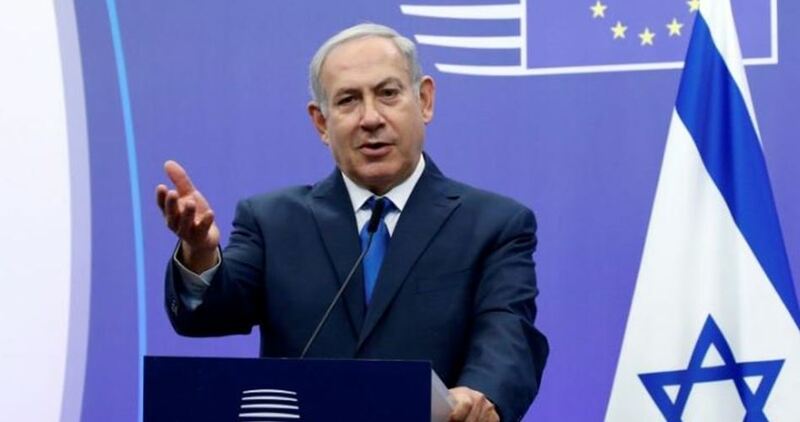 Netanyahu is trying to complete what the US president Donald Trump has started when he recognized Jerusalem as the capital of Israel in December 2017 and moved his country's embassy from Tel Aviv to Jerusalem in May 2018. 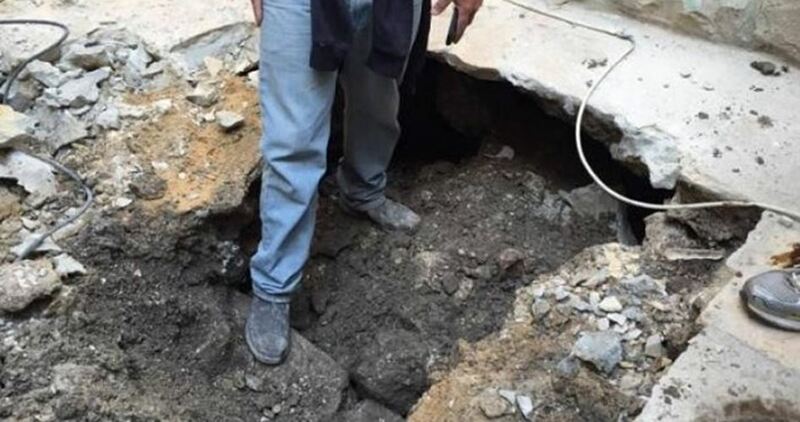 According to the Wadi Hilweh Information Center on Friday, such land collapses happen due to ongoing Israeli underground activities to expand the network of tunnels under the Aqsa Mosque and its vicinity. The new cave-in happened near al-Ein Mosque in Wadi Hilweh neighborhood. The Center warned that Israel’s underground construction and digging activities pose a real danger to the lives of the native population. Several such cave-ins have taken place and scores of Palestinian homes and buildings have sustained structural damage in Occupied Jerusalem since the Israeli occupation authority started to build underground tunnels many years ago.